Antoni Tapies was a Spanish artist known for his mixed-media paintings that incorporated marble dust, found objects, and resin as seen in his seminal work Grey and Green Painting (1957). Social themes run throughout his highly textured and tactile paintings, which were influenced by his experience of the politics and environment of the wartime and the postwar state of the Spanish government. 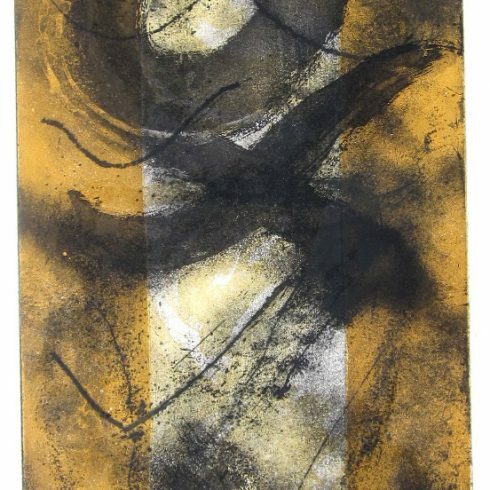 Our fine art gallery has the finest quality Antoni Tapies original prints and etchings. We have a large inventory available off-site and we encourage you to make an appointment to see specific works you are looking to collect. We are happy to meet you at either our art gallery showroom or at your home or office for a private presentation. Antoni Tàpies was born December 13, 1923, in Barcelona and grew up in a cultured and open environment. His father was a lawyer and his mother came from a family of booksellers. His adolescence was disrupted by the Spanish Civil War and a serious illness that lasted two years. Tàpies began to study law in Barcelona in 1944 but decided instead within two years to devote himself exclusively to art. Tàpies was essentially self-taught as a painter; the few art classes he attended left little impression on him. Shortly after deciding to become an artist, he began attending clandestine meetings of the Blaus, an iconoclastic group of Catalan artists and writers who produced the review ‘Dau al Set’. 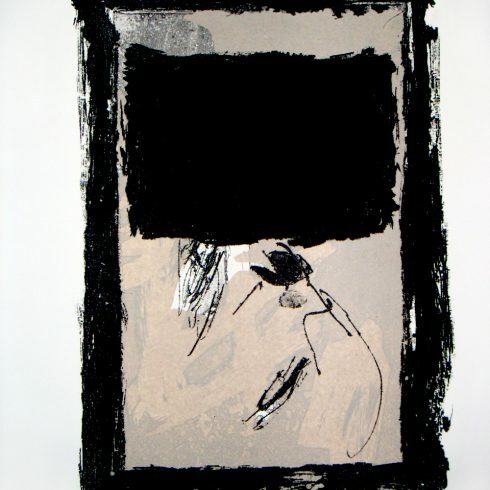 Tàpies’s early work was influenced by the art of Max Ernst, Paul Klee, and Joan Miró, and by Eastern philosophy. His art was exhibited for the first time in the controversial Salo d’Octubre in Barcelona in 1948. He soon began to develop a recognizable personal style related to matière painting, or Art Informel—a movement that focused on the materials of art-making. The approach resulted in textural richness, but its more important aim was the exploration of the transformative qualities of matter. Tàpies freely adopted bits of clay, earth, and stone—mediums that evoke solidity and mass—in his large-scale works, as well as, discarded materials such as string, paper and rags. In 1950, his first solo show was held at the Galeries Laietanes, Barcelona, and he was included in the Carnegie International in Pittsburgh. That same year, the French government awarded Tàpies a scholarship that enabled him to spend a year in Paris. His first solo show in New York was presented in 1953 at the gallery of Martha Jackson, who arranged for his work to be shown the following year in various parts of the United States. 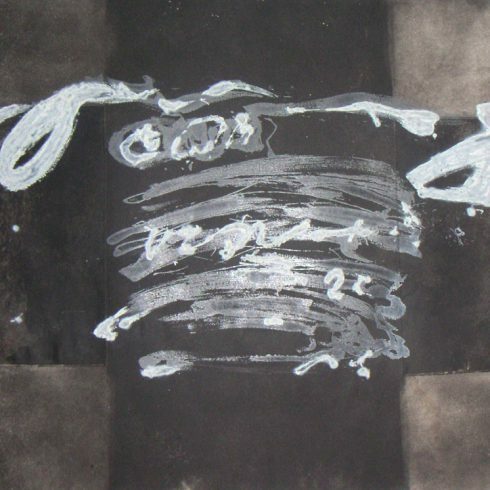 During the 1950s and 1960s, Tàpies exhibited in major museums and galleries throughout the United States, Europe, Japan, and South America. Tàpies received the Rubens Prize of Siegen, Germany, in 1972. Retrospective exhibitions were presented at the Musée National d’Art Moderne, Paris, in 1973 and at the Albright-Knox Art Gallery, Buffalo, New York, in 1977. The following year, he published his prize-winning auto, ‘Memòria personal’. In the early 1980s, he continued diversifying his mediums, producing his first ceramic sculptures and designing sets for Jacques Dupin’s play ‘L’Eboulement’. By 1992, three volumes of the catalogue raisonné of Tàpies’s work had been published. The following year, he and Cristina Iglesias represented Spain at the Venice Biennale, where his installation was awarded the Leone d’Oro. A retrospective exhibition was presented at the Galerie Nationale du Jeu de Paume, Paris, and the Guggenheim Museum SoHo, New York, in 1994–95. Tàpies lives in Barcelona.